Some maladies that attract psychiatric attention are unequivocally brain diseases. Huntington’s disease. Brain tumors. Lead poisoning. However, these are not psychiatric diseases. Huntington’s is a genetic abnormality diagnosed and treated by neurologists. Brain tumors are managed by neurosurgeons and oncologists. Lead toxicity is treated by internal medicine. Indeed, a long list of medical and surgical diseases include psychiatric features: stroke, anoxic brain injury, meningitis, lupus, diabetic ketoacidosis, and febrile delirium to name a few. One important job of the psychiatrist is to recognize such problems, treat the psychiatric manifestations when appropriate, and refer the case to one’s colleague — neurologist, internist, surgeon — for treatment of the underlying problem. Of the conditions deemed inherently psychiatric, some seem rooted in biological brain dysfunction. Schizophrenia, autism, bipolar disorder, and severe forms of obsessive compulsive disorder and melancholic depression are often cited. It’s important to note that their apparently biological nature derives from natural history and clinical presentation, not from diagnostic tests, and not because we know their root causes. Schizophrenia, for example, runs in families, usually appears at a characteristic age, severely affects a diverse array of mental functions, looks very similar across cultures, and brings with it reliable if non-specific neuroanatomical changes. Even though schizophrenia cannot be diagnosed under the microscope or on brain imaging, it is plausible that a biological mechanism eventually will be found. (The same type of reasoning applied to AIDS before the discovery of HIV, and to many other medical diseases.) A similar argument can be made for other putatively biological psychiatric disorders. In the past two decades, we have learned much about the causes of depression. We now know from brain imaging studies that depression, like Parkinson’s disease and stroke, is a brain disease. All mental processes are brain processes, and therefore all disorders of mental functioning are biological diseases. These claims by prominent psychiatrists agitate critics. No biomarker for any psychiatric disorder has yet been identified. Genetic vulnerabilities have been discovered, but nothing resembling a smoking gun. Functional brain imaging reveals biological correlates of mental impairment, not etiology, and no such imaging can diagnose a specific psychiatric condition. Our best account for most mental disorders remains a complex interaction of innate vulnerability and environmental stress, the “diathesis-stress model”. These psychiatric leaders know the research as well as anyone. How can they call psychiatric disorders brain diseases without scientific proof? 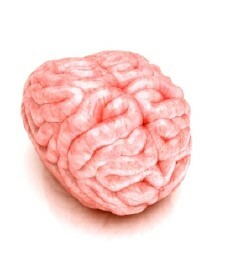 The brain mediates all mental activity, normal or not. Consequently, any psychiatric intervention — or influential life experience — acts upon the brain. This is not a new discovery. A century ago, Sigmund Freud wrote “Project for a Scientific Psychology,” in which he proposed that ultimately the mind would be understood biologically. No modern studies of brain tissue, no genetic testing, no advanced brain imaging were needed for the father of psychoanalysis to posit that mental activity arises from biology. It is a philosophical position, monism as opposed to Cartesian dualism, not a scientific finding. Note that Freud could then have made it a point to declare, as Drs. Insel and Kandel do now, that all mental disorders are biological diseases. No additional science was required even a century ago. He didn’t because there was nothing to gain. The best treatments at the time were psychological, not biological. There was no grant money at stake, no research agenda to support. The status and livelihood of early psychoanalysts did not depend on their treatment being biological. Psychiatric “brain disease” is neither an exaggeration nor a lie. It does not require scientific proof — and brain imaging has neither strengthened nor weakened the case. For as long as one is not a philosophical dualist, it is surely true. In theory, all psychology can be reduced to electrochemical events in brain cells. All psychopathology can be reduced to aberrant electrochemical events, i.e., brain disease. Without elucidating the causative mechanisms, however, this reductionism amounts to little more than political rhetoric. Calling psychiatric disorders brain diseases serves no clinical or research purpose, it only serves political ends: bringing psychiatry into the fold as a “real” medical specialty, impressing Congress and other funding sources, perhaps allaying stigma. As a tactic it smacks of insecurity and self-aggrandizement, wholly unbefitting a serious medical specialty. Freud’s psychoanalysis acts on brain cells, and ultimately alters chemical bonds in those brain cells. We could rename psychoanalysis and psychotherapy “verbal neuromodulation.” But to what end? A reductionistic account of this sort, festooned with pseudoscientific verbiage, has no practical significance. Brain research is a young field. It should be vigorously pursued for what will surely be learned. If history is any guide, many conditions currently considered psychiatric will eventually be explained biologically — and ironically, they will no longer be psychiatric conditions, as was the case with Huntington’s disease, brain tumors, lead poisoning, and many other diseases that now belong to other medical specialties. Stumping for psychiatry as clinical neurobiology will be justified when basic research in this area affects clinical practice. Until then, “brain disease” is only a philosophical technicality, a spin, to give our clinical work and the institution of psychiatry an air of scientific credibility. Particularly in light of how diseases leave psychiatry once they are well understood, the field should embrace uncertainty, not preempt it with the premature use of brain disease language. 10 comments to Are psychiatric disorders brain diseases? I wonder what you think of the Traumagenic Neurodevelopmental model, as an explanation of psychoses? This model proposes that childhood adversity (abuse, bullying, etc) leads to brain changes, which in turn may manifest later in life as psychosis. As this review shows, there are several lines of evidence supporting these associations. However, the authors also note that childhood adversity often does not lead to psychosis, and conversely, that many people with psychosis have no known childhood adversity. They also downplay the role of genetics, i.e., innate biology, despite a large body of research pointing to increased incidence of psychosis in close relatives, even if raised apart. Although I haven’t studied the Traumagenic Neurodevelopmental model in detail, my impression is that it is best viewed as a fleshed-out example of the diathesis-stress model. That is, both innate biology and experience seem to have a role. The fact that experience can change the brain in measurable ways is not new, although it’s a very interesting area of research. My next post is a response to this critique by an anti-psychiatrist blogger. On the contrary. Schizophrenia is possibly the most culturally heterogeous of all mental disorders. Note that in some places like India or certain African countries, the voices heard by schizophrenics are actually very pleasant compared to those in Western countries, the US in particular. And even in the US, it seems that the aggressive character of those voices is actually a novelty in modern times. Furthermore, there is no other disorder for which the Western approach’s failures are so blatantly obvious. The quality of life of people with the disorder in places not yet “blessed” by biopsychiatry is acctually much better, probably due to the way these people are included in society and not really considered “ill”. P.S. : If you’re saying that it looks very similar across cultures, you’re probably basing your observations on studies that only look at WEIRD cultures (western/ized, educated, industrialized, rich, democratic). Let’s face it: These cultures are actually very similar. The homogeneity of schizophrenia across cultures is a matter of some controversy in the scientific literature. The prevailing idea is that schizophrenia is similar in form (not content of delusions or hallucinations) across cultures. Some studies counter this idea, but note that they acknowledge a good deal of contrary literature in their introduction. In addition, it’s not true as a rule that hallucinated voices are “very pleasant” in other cultures, although there are certainly examples, including in the U.S., of pleasant and supportive voices. You may be referring to a recent study that said voices heard by schizophrenic patients in the U.S. are uniformly negative, whereas they are mixed in more collectivist cultures. As anyone who has treated such patients knows, many Americans with this diagnosis report positive voices too. Quality of life for those with the disorder does vary across cultures, although it’s not always better in less developed countries. From what I’ve seen, it’s not that such people are not considered ill, but that there is less individualism and more family and community cohesion, which means those with psychiatric disorders are not left to fend for themselves. At the heart of our critique is the fact that “mental illnesses” are not literal illnesses like diabetes and cancer. Despite popular media portrayal and pronouncements from medical organizations, decades of scientific research have failed to demonstrate any biological pathology that causes “mental illness”. For this reason, they should not be considered medical problems and traditional medical treatment is not a solution. As argued here and in my post above, many syndromes formerly considered mental illnesses are now known to be due to biological pathology. I fully expect more such discoveries. My critique is that biological psychiatrists are often premature in their pronouncements of biological etiology, and this often seems driven by ideology, not science. This is a logical error. But the mistake of the anti-psychiatrists, to declare all current mental disorders as definitely NOT biological, is a worse logical error. It is also illogical to rule out medical treatment for non-biological suffering. To take a simple example, a tranquilizer will relieve anxiety even if caused by wholly psychological triggers. I myself prescribe “traditional medical treatment,” i.e., medications, for some patients. Fair enough. Just as a point of discussion, as you point out in your article, when psychological syndromes are revealed to have biological etiology, they then fall outside the realm of psychiatry and into the appropriate specialty. While I understand your interpretation of ISEPP’s mission, as a member I can tell you that while there are members who are “anti-psychiatry” the main goal is to allow the current scientific evidence of these syndromes to stand, i.e. prevent the premature pronouncement of biological etiology, as you say. The prescription of medication for episodic experiences makes total sense (putting aside for this moment the debate as to the humanistic value of said emotional episodes) and doing so does not inherently convey the message “you are experiencing a biological disorder”. However, myself (and ISEPP) are ultimately interested in confronting biological psychiatry for perpetuating that very message. Anyway, my intention was not to defend ISEPP, just acknowledge the areas in which we overlap. I appreciate your time and response. I enjoyed hearing your view on this particular issue as it mirrors my own. Thanks.